As of Monday, the law is no more. Net Neutrality, a law written during the Obama administration to protect unfair usage of the internet, was laid to rest nearly six months after the Trump administration decided it was time to go. Trump’s pro-business approach has done away with thousands of regulations during his time in office, perhaps none as divided as Net Neutrality. The proponents of the law believe it keeps the internet fair and open for all. Of course, the tech and telecom industries were all for the move, as they have more freedom to operate within their own rules, but the impact of this law being repealed came swift and hard from the detractors. A good example of abuse could be internet providers like Spectrum or Comcast slowing down your service if you’re watching videos on Amazon. Maybe they decide they want you to watch their own video library, so they make it difficult for you to use any other service. The main question is: why does the internet provider get to choose what you do with the service you’re paying for? What right do they have to stop you from downloading a competitor’s app over their own? Now, with Net Neutrality gone, there’s nothing to prevent your ISP from slowing down (or even completely blocking) online content. This isn’t the worst part. Not only can companies control what you see, they can charge you whatever they want. This is where removing net neutrality can cost consumers the most. ISPs can start charging money for access to different websites. It’s not much more different than how the cable packages are tier. If you want a certain channel, you must pay extra to get it. Not only that, they can charge websites more money to have content delivered faster. That means Spectrum could slow down Netflix unless they paid more money. Netflix could probably afford that as they are one of the top companies in the world, but it will severely impact smaller companies. These sites would have to significantly increase their subscription costs to make up for it. 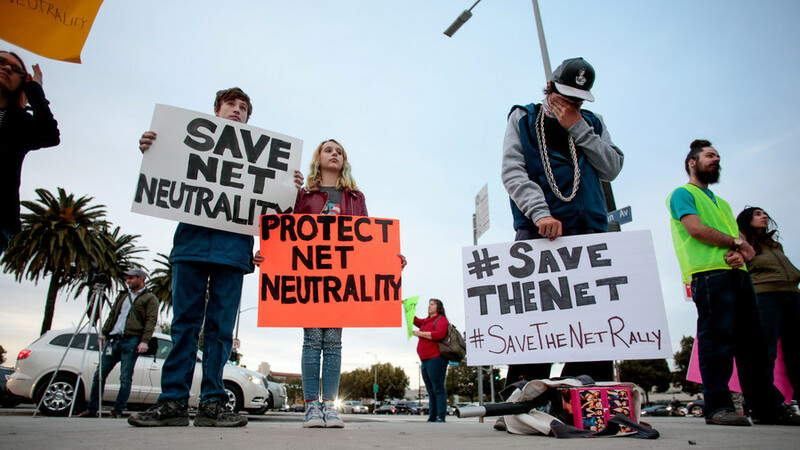 Across the country, more than 20 states have petitioned the government and even filed lawsuits to prevent Net Neutrality from being dissolved. In fact, several of those states are trying to pass similar laws. Yet, it looks to be the end of the federal program, as any law that was lucky enough to overcome the odds of being passed in the House and Senate would be vetoed by President Trump. Despite no new laws going into place in the foreseeable future, the fight will continue. Supporters of Net Neutrality will not give up, even to the point of suing the government. Individual states will want to fight for their right to pass a new bill, despite the law’s repeal that prevents states from having the authority to do so.